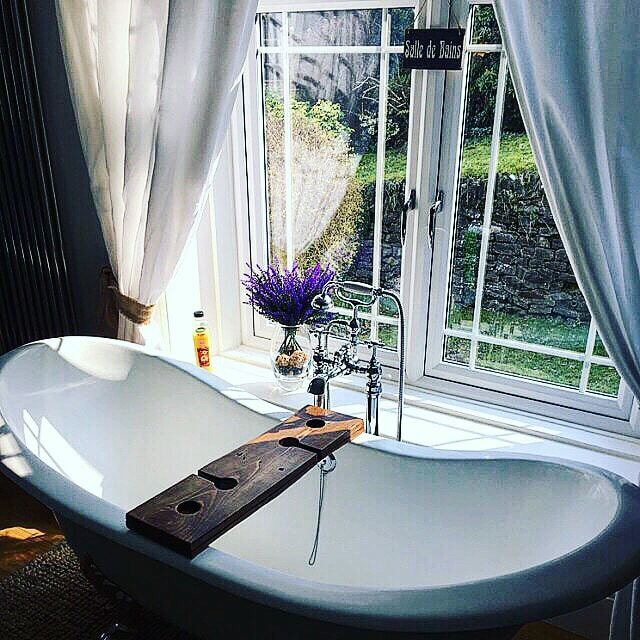 I found this cool looking bath caddy made from reclaimed wood and thought it would be a great addition to our new bathroom. Either I will make it myself, or slide on over to Lockandkey and pick one up! At Lockandkey we love receiving feedback about our products! Here’s a picture a customer sent us of one our bath caddies in her beautiful bathroom. These caddies are available to buy at the L&K Etsy store – please click this link http://www.etsy.com/shop/Lockandkeyuk to head over and have a look! Next Post House Framing Has Started!